YachtHoliday, a yact charter known for its program of sailing in Croatia offers also a program of organizing team building for employers who want to develop a strong and close working environment. Rent a yacht for your business team building. Team building is used very frequently in the world of modern business. Studies of economic experts on the effectiveness of work groups and individuals have proven that the systematic work on raising the psychophysical abilities of employees is requirement of an efficient business. YahtHoliday is one of the best provider in terms of services of the organising the team building program. 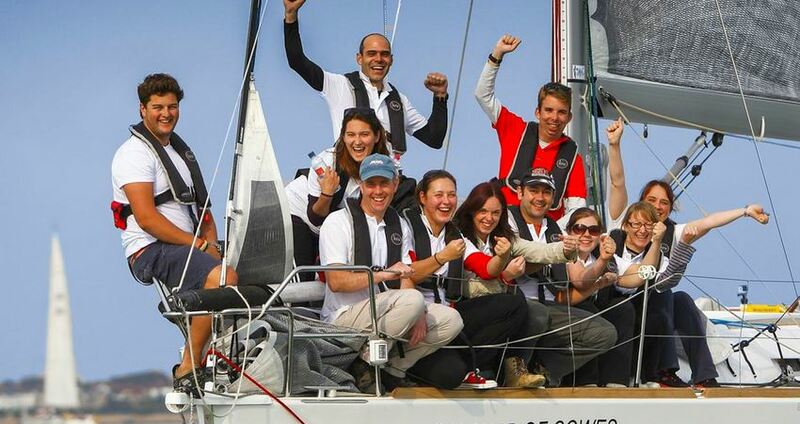 Why sailing as team building? One might say that sailing by definition is team building because one person can not manage the boat well alone. Good managing of the sailboat requires a range of skills and knowledge of the whole team, coordination and good communication of all the members, timely reaction, risk-taking and responsibility, creative and conflict-free problem-solving, priority setting, leadership, self-esteem, respect and trust in the other members of the team /crew. During the team building program participants will face situations that have never experienced before. They will work in an unfamiliar environment with colleagues who may not even know before. The main objective of this program is active outdoor relaxation. The program that we offer is fully interactive and includes all members of the crew. Each group will be accompanied by a professional skipper. Total team required to manage the boat is 8 people, but even up to 10 people may attend (this number includes skipper). On the first day short lecture was organized as well as training and getting to know the boat. Team building takes 2-5 days. After the race we will organise the awards ceremony and dinner gathering of all participants. 19:30 Introduction to the skippers, dividing the participants into groups, selection of boats. Overnight on board. The total cost of this program is EUR 850 (without VAT) per person. Participants bear the cost of transport and the berth in starting marina.